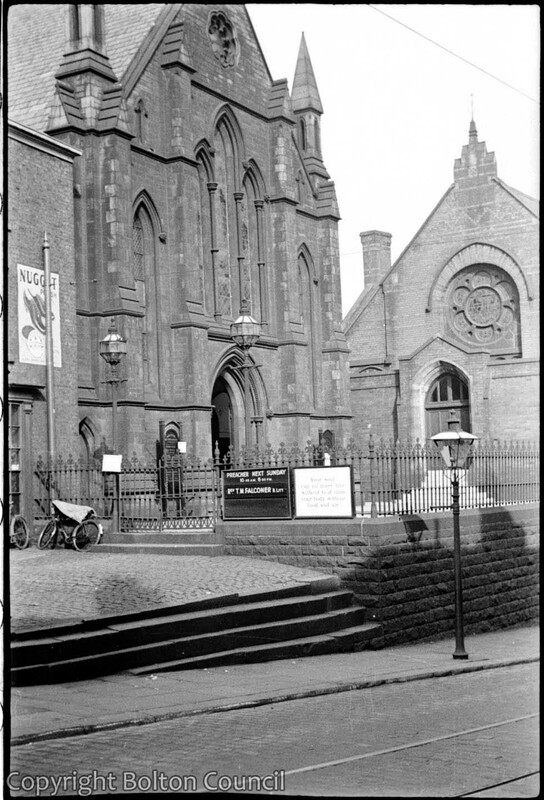 Bank Street Chapel is still going strong. I think the Sunday School to the right was knocked down in the 70’s? Some remains of the stained glass from the “rose”? window are in the chapel. The central panel of the “rose”? window has been included into the wall in the school hall, and it is artificially lit. There is now an inscription below it referring to: “Paul at the feet of Gamaliel”. At least two of the surrounding panels are in the chapel, and I think some of the other smaller pieces are also in the chapel.